" Articles in Category: John Kasich	"
Colorado Presidential Elector Micheal Baca, a former U.S. Marine, joins me today to discuss how he and other electors are planning to vote on Monday. Baca is part of a group calling themselves the Hamilton Electors, citing founder Alexander Hamilton's Federalist Papers explanation of the Electoral College as a device meant to prevent popular demagogues or otherwise unfit or unqualified candidates from becoming President. Baca explains his own plan, as a Democratic elector, to vote for a compromise Republican candidate, such as Ohio Gov. John Kasich, rather than Hillary Clinton, in order to encourage GOP electors to do the same, in hopes of stopping Trump from winning the requisite 270 vote Electoral College majority. Baca explains why he believes information made available since the election reveals Trump to be unfit for office. "On December 19th," Baca explains, "538 individual people --- not numbers on the map, not computer generated, not Wolf Blitzer numbers --- 538 people will be casting a ballot for the President of the United States of America. I believe that by reaching across party lines, I am putting my country above my party. And I may not agree ideologically on what the Republicans stand for, but Donald Trump is a clear and present danger to our republic. And I believe that it's imperative in this election that we do exercise our conscience and our moral judgment." Baca also tells me during our interview how he became an elector in the first place, the rather stunning way in which he is told the vote is set to occur on Monday in Colorado (with "pre-printed ballots"! ), how his experience as a Marine has informed his position, and what he has learned from speaking to other electors, both Democratic and Republican, about how they plan to vote. He suggests a surprise could be ahead, even as I (and he, as well) remain skeptical. "I try to operate my life with a healthy dose of skepticism," he tells me. "And until things are out in public, the only thing that I will confirm is that we have one public Republican elector. Are there others out there? I do believe so. Are they not public? I do believe so...I'm not Professor Lawrence Lessig [but] I don't think he would just speak without having any factual evidence." Baca adds: "I think we were all in for a big surprise. Surprises happen. This is the year 2016. If there's a time in history, I believe this is the time." Okay, then. Could be a big week ahead. Or not. It's a fascinating conversation that you may wish to listen to in full. Also today: The Trump Transition team says a questionnaire sent to the Dept. of Energy seeking the names and backgrounds of climate scientists was "not authorized", and the Massachusetts Attorney General says it's time for ExxonMobil to "come clean" about their efforts to fund climate change denial, now that their CEO Rex Tillerson has been nominated by Trump as Secretary of State. Yes, democracy actually still matters, and that includes counting the ballots of all the legal voters who wish to vote, counting them accurately, and in a way that we can know they have been counted accurately. While we've been reporting this week, often exclusively, on the huge number of still untallied ballots --- both Provisional and Vote-by-Mail ballots --- here in Los Angeles County, ever since Tuesday's Presidential Primary, new data now reveals the totals are even higher than we've so far reported, both in L.A. and across the state. With some 3.5 million ballots now tallied in the Democratic Primary, and a 500,000 vote (appx. 13%) margin for Hillary Clinton over Bernie Sanders, there are still some 2.5 million ballots that have yet to be tallied at all. We discuss what that means and why it matters on today's program. We also discuss the necessity of taking action on issues that effect elections before your candidate is announced as having lost one. 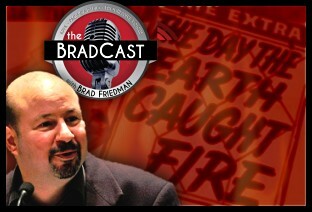 While it's a message we've been shouting from the rooftops at BradBlog.com and on The BradCast for more years than we care to remember, perhaps Sanders supporters will now take note and action. And perhaps Clinton supporters will join them now, rather than waiting until the media declare President-elect Trump has sewn up the race. As one of the cell phone companies used to say: Can ya hear me now? Speaking of taking action before it's too late, it appears that the state of Ohio is purging voters from the rolls at an alarming rate. Specifically, Democratic-leaning voters in urban areas won by Obama in 2008 and 2012 are being purged at a disproportionate rate to more Republican voters in suburban, whiter areas. To date, more Democratic-leaning voters have been removed in the state's three largest counties in OH than Obama's margin of victory in the state in 2012. Can ya hear me yet? 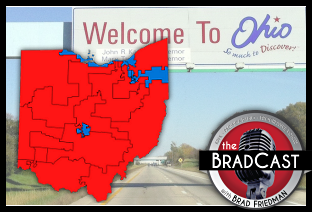 But, there is also some good news for voting rights and democracy advocates out of the Buckeye State on today's show, as a federal judge has found this week that a number of election reforms enacted by the Republican state legislature and signed by its Republican Gov. John Kasich in 2014 are unconstitutional. That good news, however, comes a bit too late for those voters who had their otherwise legitimate provisional ballots unconstitutionally rejected, thanks to those GOP provisions. Naturally, the state's Republican Sec. of State Jon Husted plans to appeal the federal court's ruling. 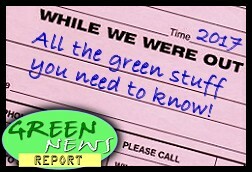 Finally today, Desi Doyen joins us with the latest Green News Report which, as luck would have it, includes a number of encouraging new laws passed this week to help save the environment, underscoring once again that, yes, elections really do matter. You can hear us now by simply clicking on one of the links below. Enjoy! 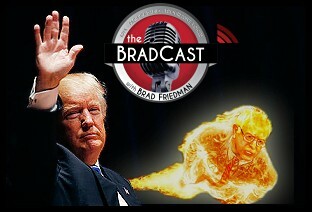 On today's BradCast, just as we warned you on the day he entered the race back in June of 2015 (when everyone else told you his candidacy was a joke), Donald Trump will now be the 2016 GOP nominee for President of these United States. No joke. And, yes, Bernie Sanders is still both running and winning against the front-runner on the Democratic side. We cover the reported results from Indiana yesterday, including the GOP dead-enders Ted Cruz and John Kasich who have seen the writing on the wall and both finally dropped out of the race. 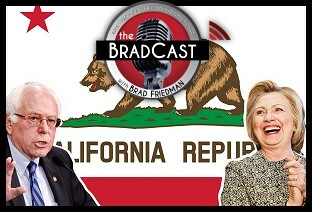 We also cover the upset victory of Sanders over the corporate media's presumptive Democratic nominee, Hillary Clinton, how he is likely to have more such victories in the weeks ahead, and how the MSM does an amazing job of not noticing. Then, we're joined by our old friend Heather Digby Parton of Salon and Digby's Hullabaloo. She was with us this year for a ton of our debate coverage, but was also with me on the show last year on Day 1 of the Trump campaign. At the time she joined me in my belief that Trump was going to receive huge support among the thoroughly brainwashed and fact-addled Rightwingers that now make up the Republican Party following years of fact-free propaganda passed on to them by wingnut talk radio and corporate "news" outlets. 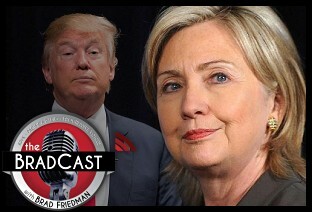 Now that we know Trump will, barring "an act of God", as Parton says, be the GOP nominee, it seemed a perfect time to talk about what it all means and how the mainstream corporate media was so wrong for so long about Trump (and even about Sanders). As Parton notes: "He is the sort of zenith...He is the id of that conservative 'essence' over the course of the last thirty years. And without the media having prepared people for believing that this was normal, that this represented America, I'm not sure [he would have done this well]." "Let's not forget," she adds, "this was supposed to be the deepest bench, the most awesomely prepared group of Presidential candidates in American history...and it came down to Donald Trump and Ted Cruz. Out of that entire group, that's what we were left with. And that is a legitimate reflection of the Republican Party." But does Parton share my concern that Trump could do a helluva lot better in the general election than many gleeful Democrats currently believe? And will the Democratic electorate think twice about selecting Clinton as their nominee, now that Trump will almost certainly be the GOP's? For all of that, you'll have to tune in. 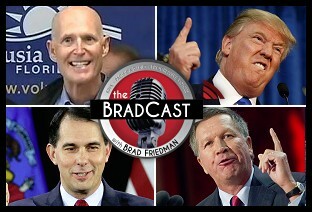 On today's BradCast [audio link below] we return to Republican Presidential politics for the first time in a while, as Ted Cruz and John Kasich announce a plan to team up, sort of, against Donald Trump. (Good luck with that.) But, first, a few stories that haven't received nearly the coverage they deserve from the corporate mainstream media over the weekend. On Friday, Earth Day, world leaders gathered at the U.N. for the largest-ever first day signing of a worldwide global agreement. The signing of the landmark Paris Agreement to curb global greenhouse gas emissions comes not a moment too soon, as the world smashes heat record after heat record and faces a likely rise in temperatures that will far exceed the targets of the agreement unless further voluntary measures are taken. 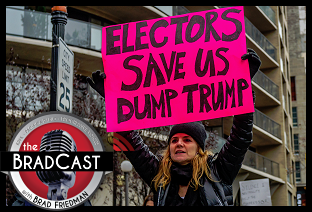 Desi Doyen joins us to explain it all, and how the Obama Administration plans to get around both ratification by the GOP's denier-controlled U.S. Senate and how the pact was designed to keep the next U.S. President from being able to easily undo it. Also, another spate of mass shootings took place over the weekend in Republican-controlled states, from OH to GA to AL to WI to AZ, but, as with the Paris Agreement, the corporate mainstream barely noticed as such mass gun deaths have simply become commonplace in these Locked and Loaded States of America. 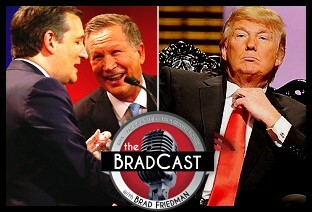 Then we're joined by Salon political writer Amanda Marcotte to discuss the new alliance between Cruz and Kasich in their desperate bid to take down the GOP front-runner Donald Trump. Marcotte, who describes the plan, much-ballyhooed by the corporate media, as "comically pathetic", explains why the GOP's latest "conspiracy" is unlikely to derail The Donald as hoped. She says the scheme, which includes Kasich pulling campaign resources out of Indiana in exchange for Cruz pulling resources out of New Mexico and Oregon, doesn't even include telling their own voters to vote for the other guy in those states. "They're not even going that far. That's how dumb this plan is. They're not taking their name off the ballot or doing anything that might actually cause anyone to change their vote. They're just not campaigning in each other's chosen states." Marcotte believes the move is even likely to help Trump. "For weeks now, Donald Trump has been running around the country claiming that he's a victim of an elite conspiracy to shut him out of his rightful nomination...And here they have come out with great fanfare and announce they are conspiring against him!" She also tells me about what she sees as "a complete tornado of incompetence" in the Republican Party in general, including from its great white hope in Congress, House Speaker Paul Ryan. "The Republican Party has a bunch of ideologues, but they don't have anybody who knows how to do anything. Like basic politics, basic governance," Marcotte explains. "Donald Trump is one of the luckiest people alive because he just sort of wandered into this situation where everyone else is so bad he looks good in comparison." But is all of this GOP dysfunction and a crumbling Republican Party actually good for Democrats and progressives? Tune in for that discussion and more. 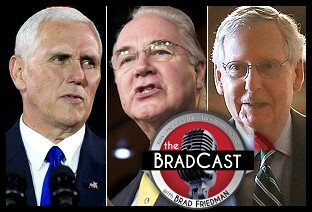 On today's BradCast, 200k former felons get their voting rights back in Virginia, even as one protester for campaign finance reform loses his right to vote after being sentenced for a federal felony. In a surprise announcement today, citing long-standing post-Civil War restrictions meant to keep African-American voters away from the ballot box, VA's Governor Terry McAuliffe (D) issued an executive order to re-enfranchise more than 200,000 former felons who have completed their prison sentences as well as their parole and probation periods. That good news comes even as former felons in Maryland are voting for the first time in decades, in advance of next week's primary, following that state legislative override of a veto by Gov. Larry Hogan (R). Meanwhile, Brooklyn's top Board of Elections official is suspended amidst the NY Attorney General's new investigation into the still-unexplained purge of more than 100,000 Democratic voters in the months leading up to last Tuesday's disastrous Presidential Primary in NY. 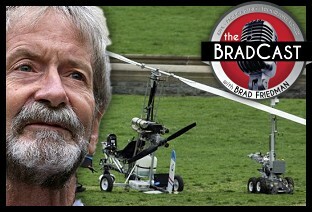 Then, we are joined again by Florida postal worker Doug Hughes, who was sentenced on Thursday to four months in federal prison as part of a plea deal following his infamous demonstration for campaign finance reform last year when he landed his homemade gyrocopter on the lawn of the U.S. Capitol to raise awareness for the problem of money in politics following disastrous U.S. Supreme Court decisions like Citizens United and other related cases. Hughes tells me, as he told the U.S. District Court Judge in federal court yesterday, that he has "no regrets" for his protest, despite the high costs he is being forced to pay, including, ironically enough, the loss of his voting rights in the state of Florida. "I will never do this again, but I have no regrets over having done it," he says. "Judge Kotelly said my flight was a stunt. And it was a stunt, because it didn't change anything as far as the laws were concerned. It didn't do anything. Except it changed the perception that resistance is futile. People now believe that they can change [the campaign finance system], and a lot of people are getting engaged in changing it." Hughes shares his thoughts on the 'Democracy Spring' protests for election and campaign finance reform that have resulted in more than 1,000 arrests over the past two weeks at the nation's capitol, even as the mainstream corporate media barely covered any of it. He describes his remarkable conversation with a CNN producer who called him yesterday after his sentencing. He says he told the CNN staffer that Democracy Spring protesters "were chanting 'Where is CNN?' You get thousands of people together and not a single CNN camera! There was no coverage of what was going on. I said, 'What kind of ghouls are running the organization that you've got to have to have somebody dead before the media will cover it?'" The colorful and impassioned Hughes also comments on the absurdity of big banks and other major corporations getting away with tax-deductible financial settlements for actual crimes (including murder), while their executives get off scot-free. But, he argues, there is a way to change what seems like an unbeatable system, and he says it involves taking on both Democrats and Republicans alike in primary elections if they refuse to join forces to move campaign finance reform forward. "Like 4% of the population of any district is more than enough to beat the incumbent in the primary." 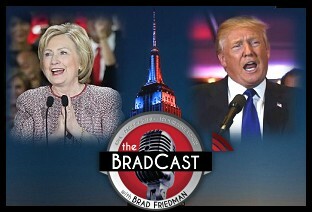 On today's BradCast we cover Tuesday's Presidential Primary in New York, from the reported results (huge margins for both Donald Trump and Hillary Clinton), to concerns about the accuracy of results, to the multiple official probes that have now been promised by the state Attorney General and the NYC Comptroller. Those officials have stated they plan to look into reported mass voter purges, failed tabulation computers and other completely predictable problems faced by voters at polling places in the Empire State yesterday. We also open the phone lines to callers ringing in on those results and concerns, and where Democrats should (and shouldn't) go from here as the nomination race moves forward to PA, MD, DE, CT and RI next week and ultimately out here to CA in June. 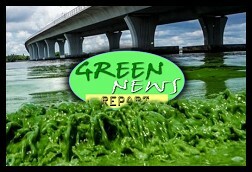 Also today: Breaking news on criminal indictments in Flint, MI; a billion dollar settlement for Volkswagen; Harriet Tubman to replace Andrew Jackson on the $20 bill; the hottest March in recorded history in our latest Green News Report; and much more about which our own Desi Doyen has a word or three to share. That's a very short description of a very busy program today, but I hope you'll give it a listen anyway! 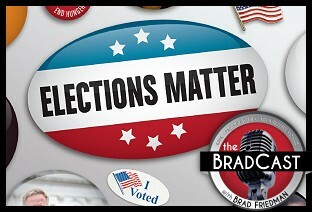 On today's BradCast, we catch up on a lot of news, polls, twists and turns --- most of which underscore, yet again, why elections and representative democracy matter...no matter what the corporate "news" media tries to tell ya. New polls find, once again, that Bernie Sanders leads Hillary Clinton in match-ups against all potential Republican opponents (and even among Democrats nationally); Also, that the front-runners in each party are remarkably unpopular within their own parties. More clear evidence that thinking big about policies and progressive ideas pays off when the people bother to fight for them and turn out to vote (when they are allowed to vote, anyway), rather than turn cynical and stay home. Climate scientist and author Dr. Michael E. Mann joins us to discuss, among other related matters, the new temperature records that have stunned even folks like him, as new data was released this month on an increase in global heat that scientists are describing as "staggering", "astronomical" and like "something out of a sci-fi movie". Professor Mann, who heads up the Earth System Science Center at Penn State University, tells me that, with this year's El Niño event finally subsiding, scientists had expected global temperatures to decline along with it. "But, instead, the February numbers came in and not only did we not see a cooling off, we saw unprecedented warmth. It was the largest departure from the average for a given month that we've ever seen." "What was so surprising was just the magnitude of that warmth, basically taking us now into the territory of more than 2 degrees Celsius warming," years earlier than expected, he says, referencing the amount of warming that scientists, worldwide, believe to be a threshold for dangerous and potentially irreversible impacts on humanity and our climate systems. "We're still on track for the globe to exceed that permanently in a matter of decades. What we didn't expect was that we'd actually cross that threshold so soon." The creator of the infamous "hockey stick graph", and author of The Hockey Stick and the Climate Wars: Dispatches from the Front Lines explains the new "warning sign" represented by the latest data which, he says, looks like "maybe we accidentally took a temperature from February 2030 from a climate model simulation." Mann goes on to explain the details of another stunning new report finding that the amount of carbon now being introduced by man into the atmosphere by no parallel on Earth, even going back 66 million years when the planet was 5 degrees Celsius warmer than it is now. That was due to a still-unexplained yet massive carbon release of about 1 billion tons each year for some 4,000 years, resulting in 100,000 years of warming. Now, however, humans are emitting about 10 billion tons of carbon annually and changing the planet much more quickly than during that Paleocene-Eocene Thermal Maximum (or PETM) period some 56 million years ago. "You can think about it as a medical experiment," says Mann, "where a dose was given to a set of patients, and that dose led to near-death. The biosphere nearly died in the sense that we had mass extinctions during the PETM. That was for a dose of one unit. What we're doing now is we're giving the patient ten times that dose. And to expect that we're not going to see similarly bad things happen as a result would be foolhardy. We are literally hitting the system harder than Nature, to our knowledge, has ever hit it." The good professor, who has long been personally targeted by the Rightwing climate denialist industry also offers a few thoughts on the "bad faith" arguments on climate change by the Koch Brothers and the various Republican Presidential candidates, as well as the corporate mainstream media's (lack of) coverage of this existential threat. And, I'm happy to add, he also shares "a little bit of good news" along with all of this, including details of some tentative new studies suggesting our ability to overcome the looming disasters may not be "as bleak as we once thought." 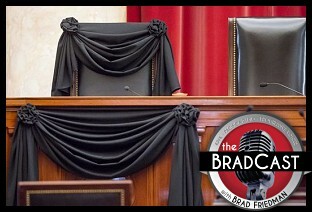 Then, I'm joined by constitutional law expert Ian Millhiser, author of Injustices: The Supreme Court's History of Comforting the Comfortable and Afflicting the Afflicted , to explain today's stunning ruling by the U.S. Supreme Court in favor of public sector unions. The decision in Friedrich v. California Teachers Association is a major turnaround from what had been the expected outcome earlier this year when we spoke to Millhiser in January just after oral argument in what had been regarded as "the biggest legal attack on unions in decades". Thanks, however, to a 4 to 4 deadlock on the Court, in the wake of the recent death of Rightwing activist Justice Antonin Scalia, today's ruling is the opposite of what had been previously expected and "one of the first consequences" of his death, says Millhiser. "Scalia was probably going to be the fifth vote to do some serious violence to the way that public sector unions are funded," he explains, while detailing why today's ruling is very good news for both Democrats and democracy itself in the wake of what had been "potentially an existential threat to unions." "What this decision does mean is that if someone wants to undermine unions, they don't get to take a shortcut. They don't get to go to five Justices and get the Justices to put in place the laws they want for them," Millhiser tells me. He also decodes the Court's somewhat "baffling" order today concerning a challenge by religious activists to the 'ObamaCare' contraception mandate, as well as the latest status of the GOP's seemingly self-defeating obstruction of President Obama's nomination to replace Scalia.